Car Brokers - Should You Use One? If you want a good deal on a new car or a used SUV, should you hire a car broker? Auto brokers are car sales professionals who offer their services to people buying new and used cars. The car-buying process today is more complicated than ever. Car buyers benefit by letting car brokers do the hard work to get better prices on the cars they want. When you're car shopping and looking to save money, seasoned car brokers obtain the best prices for you and eliminate the hassle of negotiating with car dealerships. Many car brokers are former car dealers or dealership salespeople. These car buying professionals know the sales tactics, negotiating strategies, and profit margins from the inside. For a flat fee, they search for the type of vehicle you want, negotiate for a better deal, and handle paperwork. Some auto brokers even deliver new or used cars to their clients. To start the car-buying process, expect to pay the auto broker a retainer of about $100. Once the car broker knows what you want, they begin searching for your new or used car. Within a few days, the broker will locate the car, truck, or SUV that fits what you're looking for at a price you can afford. If you want a hard-to-find vehicle, such as a limited edition, rare color combination or special trim, the broker may need a little more time. Whether you're looking for a classic car for the nostalgia or an inexpensive -- and safe -- car for your teenage new driver, car brokers help you save money and time. When your dream vehicle is an antique, vintage, or rare and expensive car, you may want a more specialized concierge service. Two examples of concierge service are AuthorityAuto and CarBargains. This type of car broker can save even more time and effort. They can purchase your car so you skip the trip to the showroom. Plan to pay extra for this elevated service. Car broker concierges may charge a percentage of the amount you save on the vehicle. Some of these auto brokers charge a flat fee upfront based on the vehicle you want them to locate. Car buying is probably an occasional event for you. At the same time, it may be one of the most expensive investments of your life, outside of housing costs. 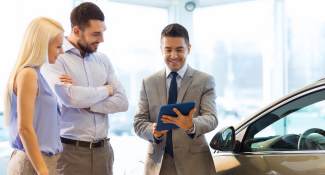 Unless you're involved in the auto industry, it's likely that you don't have the knowledge and experience of a new car dealership owner or salesperson. Car brokers do. Hiring a car broker is similar to hiring a professional such as a doctor, electrician, or real estate broker. Car brokers keep their car-buying clients from making mistakes and wasting money. 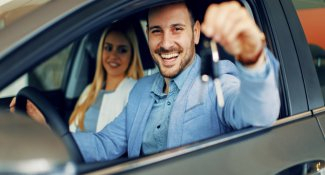 Choosing the right kind of auto broker when you need to buy your next car is a smart idea. It's like hiring a former prosecutor if you need a criminal defense lawyer. You're getting a professional car buyer and advocate on your side. When scouting for auto brokers, check state licensing requirements and verify that the broker you want meets state qualifications. Requirements vary from state to state. For example, New York requires all auto brokers handling purchases and leases of new and used cars to register with the state. Each New York car broker must carry a $100,000 surety bond. Make sure the broker you choose is independent of car dealerships. Beware of brokers offering their services free or charging minimal fees. They may be getting commissions from car dealerships. If so, they may not work to get you the rock-bottom price. These car brokers might limit their search and negotiations to a dealership where they have strong ties. Look for independent car brokers dedicated to serving consumers. They're typically in small offices and charge flat-rate broker fees for their car-buying services. Review car broker websites to get an understanding of how the brokers work. CarsDirect, American Auto Brokers, and Elite Auto Brokers are among the popular car broker sites. Before hiring your car broker, ask questions about their background, experience, and car buying process. You want to know how they find car deals, how many cars they have located and sold in the past 12 months, and whether they have relationships with particular car dealerships. Depending on the type of vehicle you want, car brokers may charge flat fees between $200 and $1000. Generally, auto brokers charge more for used cars than for new cars because finding used cars can involve more detailed research than for new cars. Some car brokers charge on a percentage basis. These auto brokers often use a vehicle's Kelley Blue Book value to determine the cost of a new or used car or truck. They calculate their fee based on a percentage of the difference between the vehicle cost and what you paid. So if the KBB value of the Mercedes you bought was $40,000 and you paid $30,000, the car broker's fee would be a percentage of $10,000. When possible, hire a broker who charges a flat fee rather than a percentage. You'll come out with a better deal in the end. If you find a car broker that you want to hire on a percentage basis but their rate seems high, ask for a 20% discount. The auto broker may counter with a 10% discount. If they insist their rate is low, ask for a way to verify their claim. To save money on an auto broker's charges, you might assist in the car-buying process by searching for the right car. Search the internet for car dealerships or owners that have the new or used car you want, and give the information to your car broker. 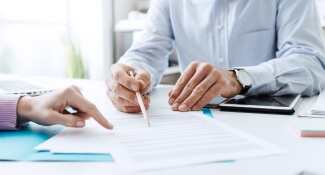 If the source you find is the one the auto broker uses, you might be able to negotiate a better deal on the broker fee. When you're ready for a new or used car, hiring an auto broker can simplify the car-buying process. Take time to do some research and let a car broker get you the vehicle you want at a better price than you could negotiate on your own, with less trouble.